In further news of the ongoing U.S. encroachment into Uganda, a Washington-based “advocacy group” has called for more U.S. troops in the region. This is to supplement the 100 troops sent by the Obama administration to aid the Ugandan army in the hunt for Joseph Kony and the remnants of the Lords Resistance Army. What this reveals is the further use of non-governmental organizations (NGO’s) to build public support around increased imperial action in Central Africa. The U.S. based Enough Project released a report recently saying the number of troops and equipment mobilized against Kony and the LRA was inadequate. It stated “Despite U.S.-provided air mobility, the difficult operating environment forces the Ugandan forces to spend unnecessary resources on logistics and transport, rather than on operations aimed at the rebels.”(1) Thus its solution is to increase the military presence there. The military involvement of the U.S. has escalated through the years, becoming more substantial with the deployment of 100 U.S. troops as advisors in 2011. (2) Imperialism have used NGOs earlier this year to build up public opinion for more involvement in Uganda and Central Africa, as exemplified by the Kony 2012 campaign by Invisible Children. They spread a viral video campaigning to bring Kony to the International Criminal Court. The campaign was criticized by several different peoples and groups, and one of their spokesperson’s had a publicized breakdown and arrest, both of which had an effect on the campaign overall. (3) Now it seems another NGO is being used to continue this campaign. Enough was conceived in 2006 by a small group of concerned policymakers and activists who wanted to transform their frustration about inaction into pragmatic solutions and hope. Co-founded by Africa experts Gayle Smith and John Prendergast, Enough launched in early 2007 as a project of the Center for American Progress. John Bradshaw is Enough’s Executive Director. Enough is based in Washington, DC, and works with concerned citizens, advocates, and policy makers to prevent, mitigate, and resolve crises of genocide and crimes against humanity. He has also written books and op-eds on Africa, along with consulting on tv scripts dealing with child soldiers. In effect a propagandist. As mentioned, the Enough Project was started as a project of the Center for American Progress. The CAP was founded by former and current officials with the Clinton and Obama administrations. Sourcewatch.org, a site ran by the Center for Media and Democracy, gives a good overview of this organization. Originally founded in 2003 by Democrats as a think tank to oppose the Iraq war under Bush, it was later used to aid Obama in his election campaign. In 2009 when Obama was in power it was then used to create favorable public opinion for support of the war in Afghanistan. 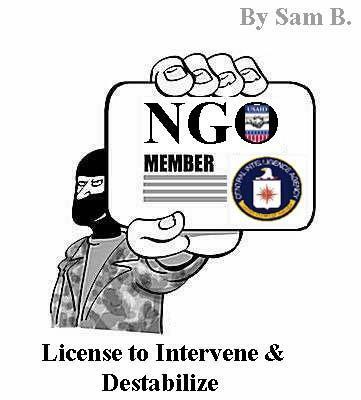 (9) Essentially CAP acts as the official NGO for Obama and the Democratic Party. As seen here, the Enough Project is not just another do-gooder NGO spreading concern about human rights. It is tied deeply to national security policy makers in the Democratic Party, and used to spread propaganda to justify further imperialist military encroachment into Africa. The real reason for increased concern in Uganda is not just about Kony and the LRA, who are less active in Uganda than before. It is more likely due to the recent discoveries of oil fields in the western part of the country, waiting for development. Already it is creating new conflicts between elites in the country and the people. The government has been forcibly relocating many rural people to make way for planned oil refineries (10) The struggles this will bring will only intensify. The U.S. presidential election just ended, with Obama getting a second term, and a continuation of his policies. Throughout the campaign the areas where the candidates had little to no disagreement was in foreign policy. Both major Amerikan political parties are committed to maintaining the imperial system that has enriched Amerika at the expense of the masses of the world. It past time for those not aware to recognize the true nature of Amerikan imperialism. Sweep away illusions in order to fight for liberation. -Antonio Moreno is a co-founder of the Revolutionary Anti-Imperialist Movement, co-editor of Anti-Imperialism.com, and a national liberation theorist and organizer. He is a writer, journalist and activist in the Denver area.